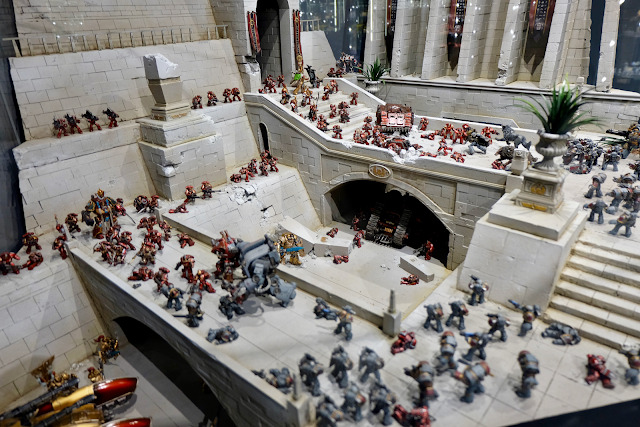 I think for many Games Workshop gamers, the idea of visiting Warhammer World is a little like children going to Disneyland (or Legoland in my case). 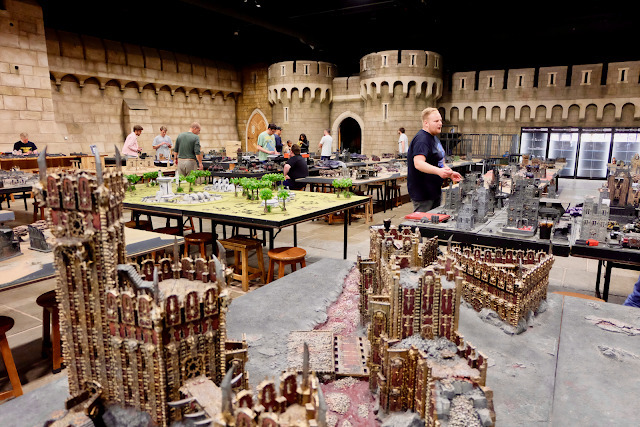 It seems like a magical place full of the best gaming tables, the world class tournaments, exclusive goodies and of course the ForgeWorld Store. 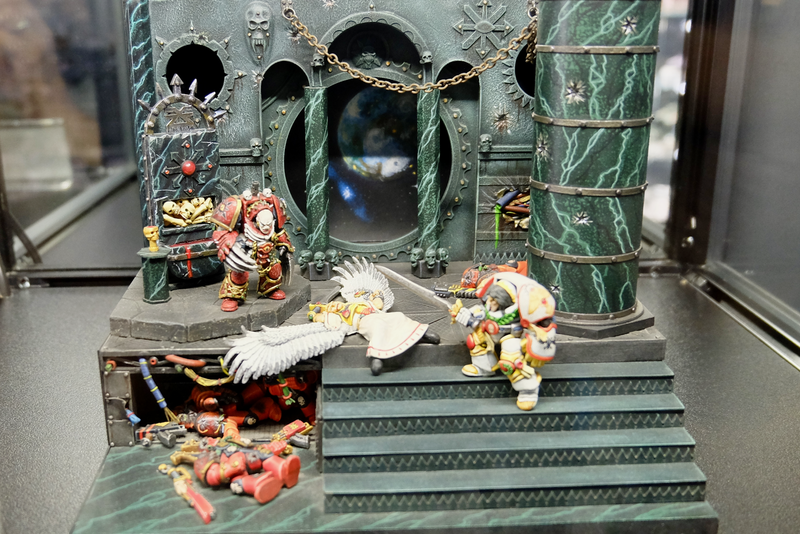 I had been once before some ten years ago (I think soon after it opened) and was rather disappointed, there were a lot of classic 'Eavy Metal studio pieces that were glorious to look at and some gaming tables but very little else. I returned this time having heard of Bugman's Bar and the growth of the place as a whole, but mostly to pick up some things for friends in the US. 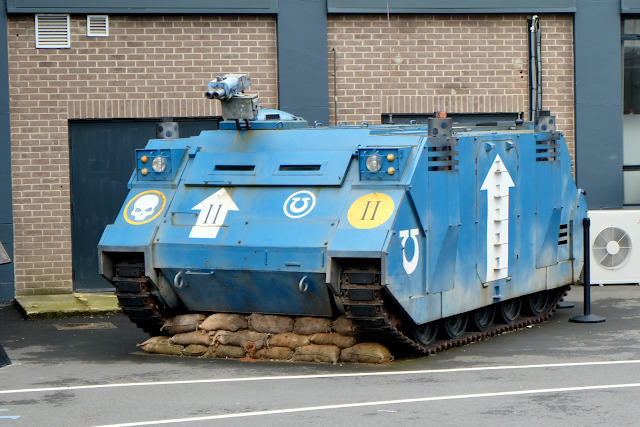 Yeah, that's right, they have a lifesize rhino parked out the front of the Warhammer World center! I think it's a modified M113 APC but it looks pretty badass. 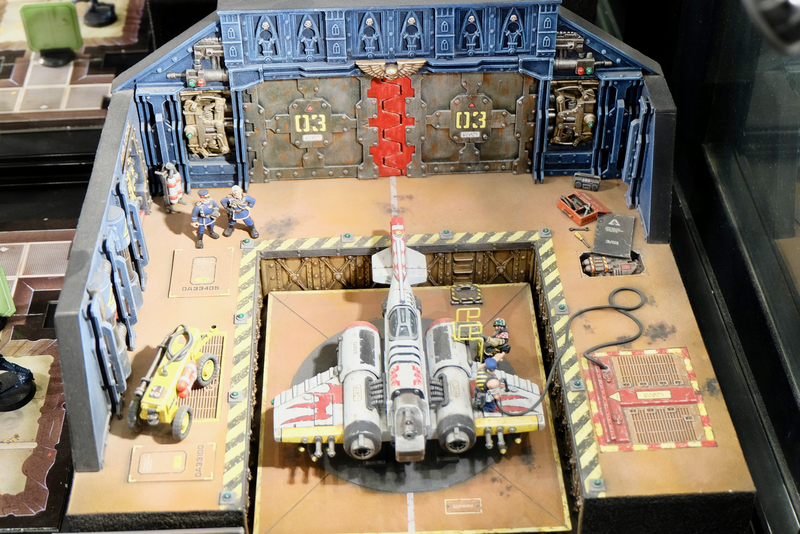 Game stores always have the best gaming tables but Warhammer World really takes this to the next level. The whole room is incredible. It's such a shame that it's a GW games only place, I'd love to see some of the other games getting played on these tables to promote the wider industry. I am currently reading the Horus Heresy books and have seen the prelude to this event, at book 3 (Galaxy in Flames) this conflict is imminent and I can't wait to read about it with this diorama in my mind. Many of the dioramas on display depict historic moments, battles of the Horus Heresy, great actions of Orks or Chaos, sieges in the Old World, but this? It's just another Thunderbolt getting prepped for another conflict. Nothing outrageous, but beautifully executed in every detail. Largely scratch built and gorgeous in every detail. This piece certainly looks a little dated at this point, the armour in particular shows as being 80s design and out of line with the latest Heresy designs but the mood and tone of the piece is filled with drama. Grom and the Black Gobbo ready to play some FOOTBALL!!! 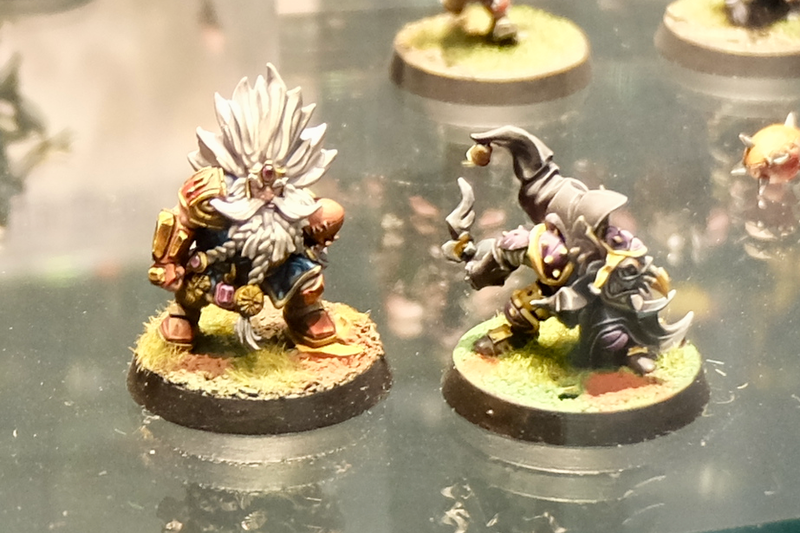 Blood Bowl was of course the main reason for my journey to Nottingham. These were a couple of the figures that I bought. 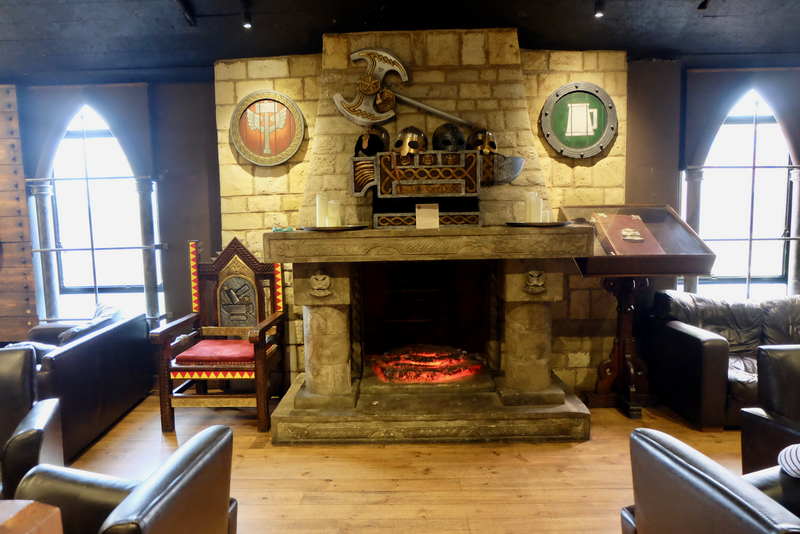 The fireplace in Bugman's bar is just one part of an amazing room. The beer is also pretty decent. 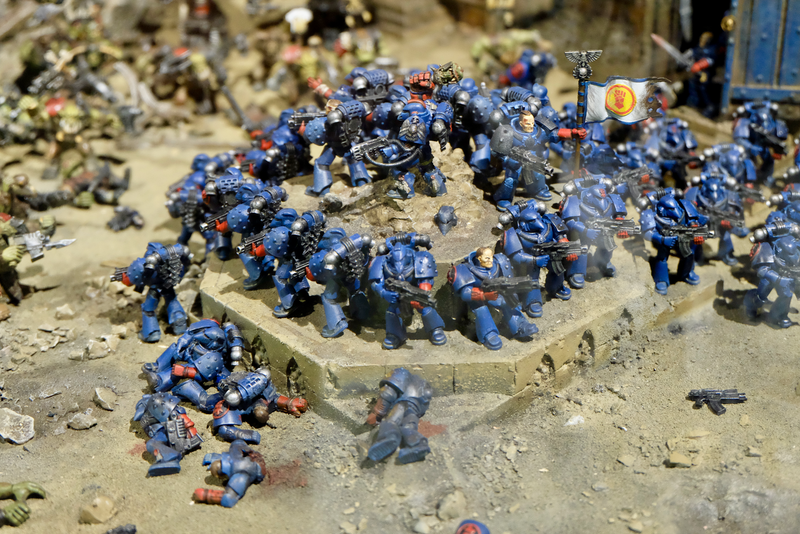 These are just a small selection of the photos that I took, a lot of my pictures are disappointing because of the glass showing reflections from the bright lights but if you want to see more of the dioramas etc from my visit - my photo album can be found here. For anyone that has the opportunity to visit, you absolutely should. Most of the centre is free to visit. The Exhibits are £7.50 which is well worth it I think and the whole place is just a great experience.